Home / Infographics / What are the Best Sizes for Infographic Design and Promotion? 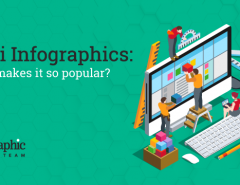 What size should you make your infographics? Are there general specifications for the size of infographic design and promotion? Yes and no. While there are some general specifications for various platforms, when it comes to specific platforms, there are some distinct and important differences that you should be aware of. Standard infographic size works with most websites and blogs. When you are creating an infographic for use on your site or blog, you should create an infographic that is not more than 600 pixels, and a length should not exceed 1800 pixels. Using these specifications will also guarantee that your infographic will work on most infographic submission sites and directories as well. Consider the platform for Infographic Design and Promotion. When creating your infographics, it is important to know best infographic dimensions to use for the various platforms that you plan to put them on. Some platforms allow you to post longer or broader ones than others. Study the specifications for each platform to determine height and width of infographic before creating it. It will save you a lot of time in the long run and avoid you having to redo it. Visual.ly allows you to post infographics of 1240 x 1750 pixels. Pinterest allows you to use a size of 600 x infinite pixels. On Pinterest, you can make it as long as you want to! Facebook is one of the most important platforms that you should share your infographic, so it’s important to know what the specifications are for placement on this platform. Placing your infographic on Facebook can increase your shares exponentially and even make a particular good infographic go viral. Facebook allows you to post an infographic with a minimum size of 403 x 403 pixels and a maximum of up to 2048 x 2048 pixels. So you have quite a bit of flexibility with their platform when placing infographics on their site. Google Plus allows you to offer an infographic at a size of 497 x 373 pixels up to 2048 x 2048. Go to Google+ and check out their platform if you are unfamiliar with it and you will see why they have these requirements. It’s good to share your infographic with Google Plus since it is owned by Google and will automatically increase your ranking. As per the latest Google algorithm updates, you can’t be too careful about remembering to include your mobile customers who come in on mobile devices. Keeping your infographic to standards that will allow your mobile customers to view it at optimal quality is important to keep to the standards that Google requires for mobile-friendliness. People spend more time on their mobile gadgets these days than their desktop computers and this number is only expected to rise over time. You don’t want to exclude this significant audience that may be looking for your site or infographic information. 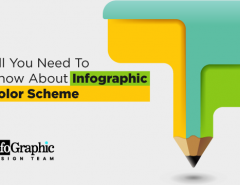 The whole point of creating an infographic is to get important information to your target audience in a way that they can easily read and enjoy. 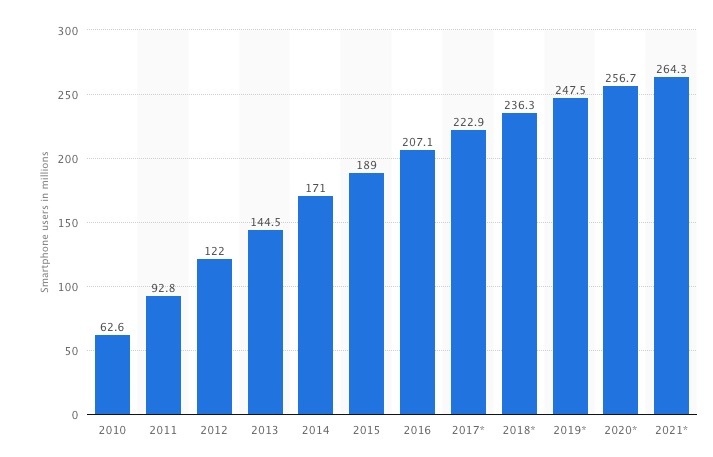 Just take a look at the growth of mobile over the next few years, thanks to the chart from Statista below. Remember, it’s not only important to stay mobile-friendly to appease Google, but you need to keep your mobile customers in mind. They are, after all, soon to be your biggest audience! Knowing ideal size for infographics for mobile devices, therefore, is of utmost importance when it comes to being in compliance with the required standards. It’s also important to test out your infographic on some different mobile devices so that you can see how it looks on each one. It’s impossible to test every single device, but it helps to test it on as many as possible to gain perspective on how it is coming off. In general, you should create infographics that you want to be viewable by tablet owners between 600-640 pixels. It may help to write down this specification somewhere and keep it close to your computer where you design the infographics so that you will know what size to create them in. Smartphones are different than tablets. For one thing, they are much smaller than the typical tablets and require a smaller readability area to be visible to the user. Smartphones, in general, have a 4 inch or larger display area. So you should work to ensure that your infographic does not exceed 288 pixels in width. You may also want to focus on font sizes and make sure that your fonts are larger than what you do in the tablet version. This is because the readability will be harder to achieve with smaller devices. 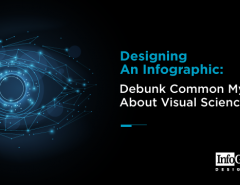 If you still have questions about infographics and what size you should create them in, check out our previous blog post to learn more about specifications of various platforms here. We want you to know the specifications that you should follow to create your infographic so that you will have optimal quality, no matter what platform or device your users are coming from. In addition to the above specifications, it is important to remember the following characteristics when it comes to your infographics. Choose attractive graphics that will attract a bigger audience.– Graphics make or break an infographic. Make sure you choose well-designed graphics to start with such as images or graphs that use color in an appealing way. Do research on your data to make sure it is correct and up-do-date.– Remember that the data you use in your infographic should be current, and you should check to make sure that it is accurate. There is nothing that will discredit an infographic faster than having incorrect data. Include hot topics or trending data.– One thing you should keep in mind when designing your infographic is to include information that is interesting to your target audience. One way to do this is to include hot topics. Check Facebook, or one of your favorite news feeds to determine what information you may want to include if you are creating an infographic that includes news or updates. Hire a professional design team. After you research your information and decide to create your infographic, it helps to have a professional design team that will help you design it, considering the specific sizes that are preferred by the various platforms. 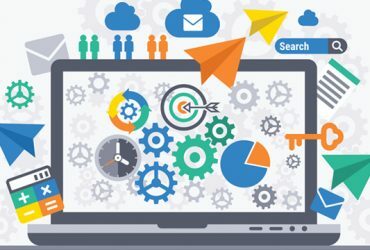 As a business owner, you don’t want to waste time creating an infographic that doesn’t fit the specifications of the platforms that you want to place them on. We can help with that, as well as the design and promotion of your infographics. 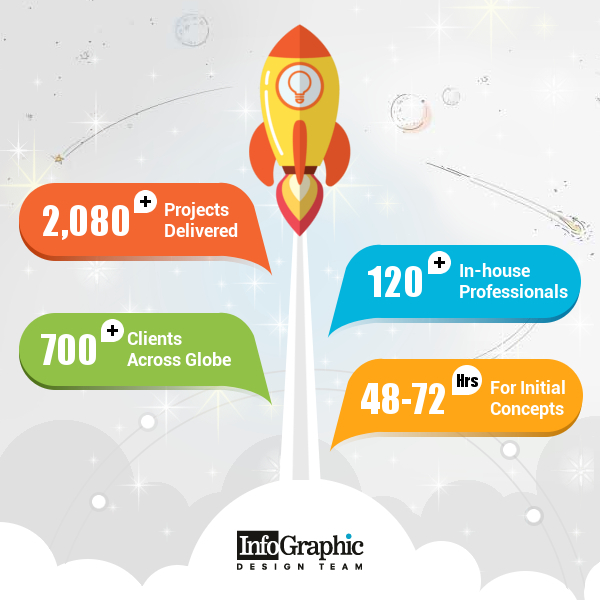 At infographicdesignteam.com, we are professional infographics design professionals, and we can create a professional infographic that will work on any platform or with any mobile device out there. Then you won’t have to worry about whether your infographic will work in the places you need to put it. 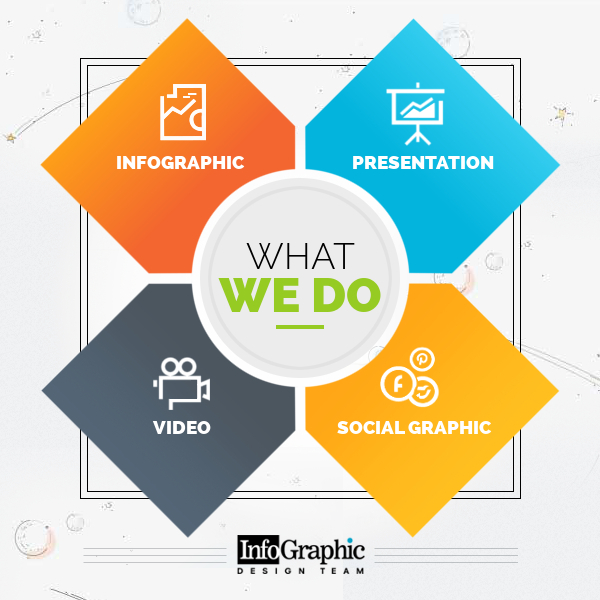 Let us know how we can help when you are planning your infographic, and we’ll help you design the best-sized infographic for your social media and other platforms.